Are you in Love? Be Sure before Valentine's!! If you're a regular visitor of this site, you might be surprised by this post. Love and affection has no chance in my site. Everything is either about Blogging, Computer, Internet or something like that. But just before the Valentine's Day, I've got a new plan. Few years ago, I got a flash file named Are you in Love? At the same time this is very funny as well as useful to make sure whether you're in love or not. Download - Are you in Love? This is a zipped file. And it's only 450 KB. After downloading the file, unzip it. Then double click on it to play. At the right bottom corner you will get the play button. Step 1: Are you in love with someone? Step 2: When you are together with that special someone, you pretend to ignore that person. Step 3: But when that special someone is not around, you might look around to find them. Step 4: At that moment, you are in love! Step 5: Although there is someone else who always makes you laugh, your eyes and attention might only go to that special someone. Then you are in love. Step 6: Although that special someone was supposed to have called you long back to let you know of their safe arrival, your phone is quiet. You are desperately waiting for the call. At that moment, you are in love. Step 7: If you are much more excited for one short e-mail from that special someone than other many long e-mails, you are in love. Step 8: When you find yourself as one who cannot erase all the messages in your answering machine because of one message from that special someone, you're in love. Step 9: When you get a couple of free movie tickets, you would not hesitate to think of that special someone. Then, you are in love. Step 10: You keep telling yourself, "that special someone is just a friend", but you realize that you can not avoid that person's special attraction. At that moment, you are in love. Step 11: While you are reading this page, if someone appears in your mind, then you are in love with that person. A single blog post can never provide you the sufficient knowledge on HTML colors. Thousands of words could be written about colors. But today, I'm just gonna share my little knowledge about HTML colors. All of you are familiar with the basic colors - Red, Green & Blue. In brief, this is known as RGB. What you see in the screen is nothing but the combination of these three colors. I mean Red, Green and Blue. There are 16 Million Different Colors! The combination of Red, Green and Blue can produce more than 16 million colors! Each color has a value from 0 to 255. Couple of years ago I heard that human eyes can detect almost 17000 colors. And most of the modern monitors are capable of displaying more than 16000 colors. Aqua, Black, Blue, Fuchsia, Gray, Green, Lime, Maroon, Navy, Olive, Orange, Purple, Red, Silver, Teal, White, Yellow. Look at the table below. 17 standard colors are shown with Hexadecimal values. The web browsers can't see as we human do. We can see Red, Green, Blue, Black or White. But a browser don't see anything. But it can take color value as input and show color as output. So, when something is created to be displayed through web browsers the web developers must input the codes. Thus when are working with HTML or CSS colors you should have a basic idea about color codes. RGB colors are defined by the HEX code. If you work in photoshop you should know the formation of colors. When you pick a color in photoshop you will see the value of each color. If you choose fully red color, the value of R will be 255. And the value of G and B will be 0. And the HEX code will be #ff0000. HEX Values are written as 3 double digit numbers starting with the # sign. The lowest value that can be given to a color is 0 (Hex 00). And the highest value is 255 (Hex FF). So when you choose a complete Red, the RGB code will be 255, 0, 0. And the HEX code will be ff0000. Here ff is for 255, and 00, 00 is for 0 and 0. When you choose complete white, RGB will be 255, 255, 255. Then you will get HEX code as ffffff. And if you choose black then you will get the opposite code. RGB will be 0, 0 0. The HEX code is 000000. That means white includes all the three basic colors. And black includes none of the colors. 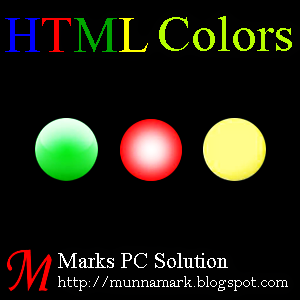 Hopefully this color values will clarify your understanding of HTML color codes. Free Payoneer Master Card with Bonus $25 !!! Hello Guys! Several times I've discussed about monetizing blogs and websites. 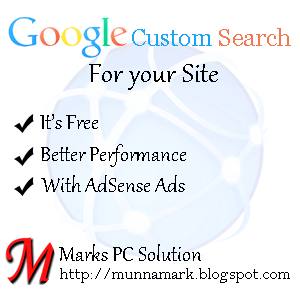 Such as AdSense, YllixMedia, Infolinks etc. I've also discussed how to get AdSense money through Bank Accounts. But I never discussed about any other global way to receive online earning funds. Today I am gonna talk about how to get a free master card with bonus $25! Supports & Services of Payoneer is available in more than 200 countries. Payoneer Prepaid Debit Master Card makes your online transaction easier. Once funds are available, you can use the card in stores, online transactions and ATM booths wherever Master Card is supported. Globally Accepted - supported in more than 200 countries. Easy Sign Up - No bank account is required. Use wherever Master Card accepted - Online, Stores & ATMs. Quick - Access to cash within 2 hours! Supports - Multilingual customer supports available through Email, LiveChat & Telephone. Hit on the below button to sign up. If you want to get free 25 dollar then you must sign up through the button below. But if you directly go to Payoneer and sign up, you will miss the bonus amount. So follow the button below. Now you will be redirected to the sign up page. Hit on the sign up button. Fill up the necessary fields. Finally Hit on the finish button. A confirmation mail will be sent to your email. Confirm it. Your account will be verified within few days. There are four steps in verification process. Before activating the card you will be able to see your current status. This is the Prepaid Debit MasterCard of Payoneer. You will get a letter from Payoneer including this card. Card Number, Expiry Date, Account Name will be embossed there as you can see in the image. Also read Frequently Asked Question about Payoneer MasterCard. 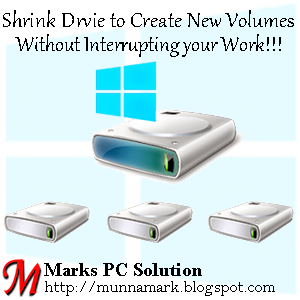 Create New Volumes without Partition !! Disk Management is a nice tool to manage your hard disk drives. With this tool, you can easily format, shrink and extend your existing volems. You can do some other tasks too. But today I'm gonna discuss about creating new volumes by splitting existing volumes. Two weeks ago, one of my acquaintances got a new laptop. It comes with Windows 8, Intel Core i5 processor and 1 TB Hard disk. Not very extraordinary nowadays. But I was really surprised when heard there is only 1 partition in his laptop!! Can you believe it? One partition for a 1 TB hard disk! My goodness - this is a thousand GB partition! Disk Management tool is same both in Windows 7 and 8. Windows XP may have the same advantage but I'm not sure. If XP users has any problem, you can inform be through comments. Create New Volumes Without Partition - No Restart! No Interruption!! Hit on the Manage option. Choose Disk Management under the Storage option from the left pane. Here you will get the list of your volumes with capacity and free spaces. Right click on the drive you wanna shrink. Select Shrink Volume and you will get the below window. Here you will get the total size before shrink. Now enter the space to shrink. Simply count the 1000 MB for 1 GB. In the image I've used 5000 MB for 5 GB. Then check how much you will have in the drive after shrink. Before proceed, make sure everything is okay. Now Press Shrink > You will get the following image > Right click on the Free Space > New Simple Volume > Pres Next > Enter Simple Volume Simple > Next > Assign Drive Letter (Suppose L) > Format the volume (Choose format type, label) > Next > Finish. Within few seconds, you will get a brand new drive! Suppose you made a mistake. Or you were just trying to do it. But don't want to divide the volume actually. How do you get the new volume back to your old volume? Very simple! Right click on the new volume. You will get the above image again. Now right click on your old volume and choose Extend volume. Press Next > Next > Finish. This procedure doesn't require any restart. Even you don't need to close any program running on your PC. It's fast, simple and reliable. While running this operation you should be very careful. Though this tool is safe to use, but you may lose your data for any wrong command. Suppose, you may delete a volume which contains your valuable files. Or you may format an existing partition which contains important data. So, before making a click, be sure you're really doing the right job. If you have any query, don't forget to leave a comment . . .
How to Change the Drive Letters? Hide your Hard Disk Drives from My Computer! !